British police say they have made a significant arrest in their investigation into hacking attacks on international business and intelligence agencies. Officers from the Metropolitan Police Central e-Crime Unit (PCeU) have arrested a 19-year-old man in a pre-planned intelligence-led operation. The 19-year-old is currently in custody at a central London police station. This arrest comes just before the first major “Operation Anti-Security” information leak was about to take place. Police would not say whether the man is believed to be linked to either the Anonymous or Lulz Security. According to Mikko H. Hypponen , F-Secure CRO "The arrested person in Essex could be Ryan Cleary aka ViraL. Not sure of his relation to LulzSec." Yes ! This can be Ryan, who hack Anonymous IRC networks - irc.anonops.net & irc.anonops.ru before & Also he was exposed by Anonymous. Whereas Anonymous saying that "The good news everybody: Ryan has little to do with #LulzSec besides running IRC. 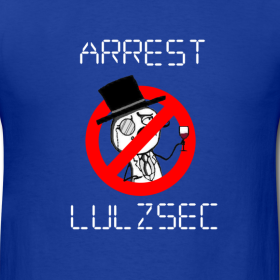 All 6 members of LulzSec are fine and safe. ryan cleary simply hosted the new encyclopediadramatica website and irc, lulzsec just had a channel there, not much of a relation." Searches at a residential address in Wickford, Essex, following the arrest last night have led to the examination of a significant amount of material. These forensic examinations remain ongoing. The PCeU was assisted by officers from Essex Police and have been working in co-operation with the FBI. We also Notice that Lulzsec Website's Main page http://lulzsecurity.com/ was down for sometime on Tuesday, Whereas there Another page http://lulzsecurity.com/releases/ was working. We are investigating further reports and will update you as soon as Possible.